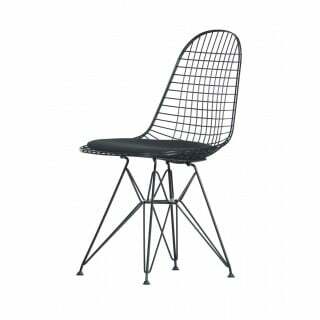 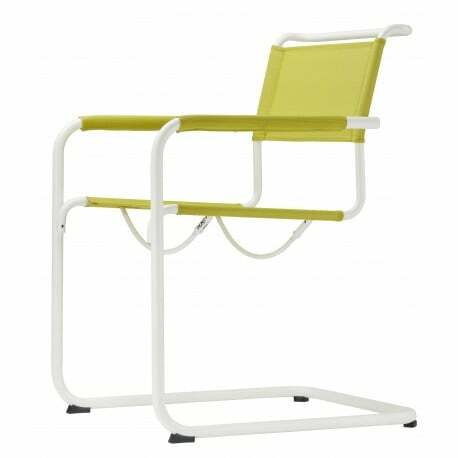 Buy Thonet S 34 N Chair All Seasons by Mart Stam, 1926 - The biggest stock in Europe of Design furniture! 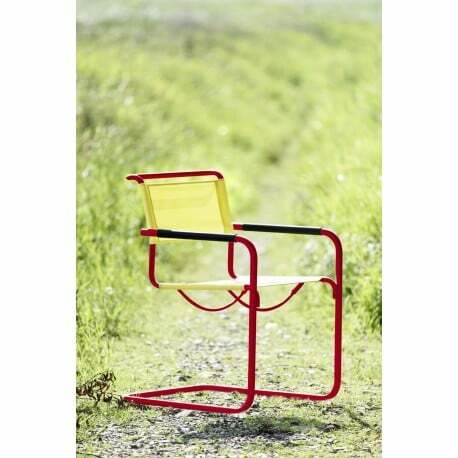 This is the All Seasons outdoor version of the S 34 Chair by Mart Stam, a masterpiece from 1926. 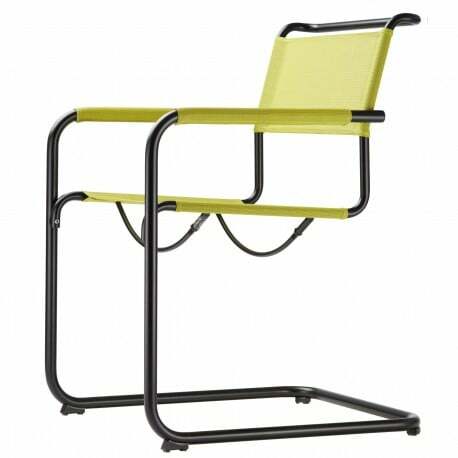 The first cantilever chair in furniture history, used for the first time in 1927 in the Weissenhof-Siedlung in Stuttgart. 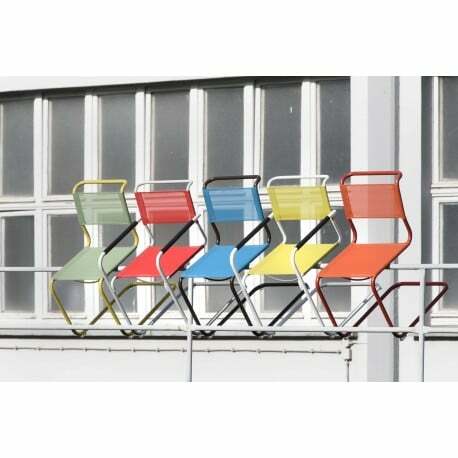 The S 34 N Chair All Seasons is very durable: with ThonetProtect® surface for the frames and UV resistant mesh, for variable use indoors and outdoors. 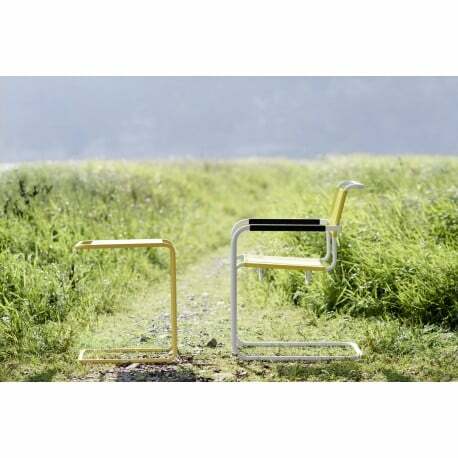 Armrests Iroko, elastomer plastic or mesh. In addition, cushions for seat and backrest. 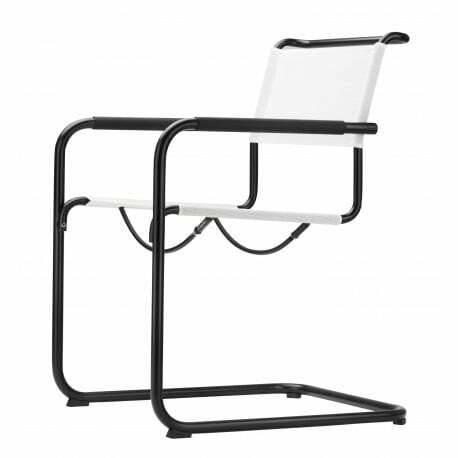 Also available without armrests (S 33 N Chair).